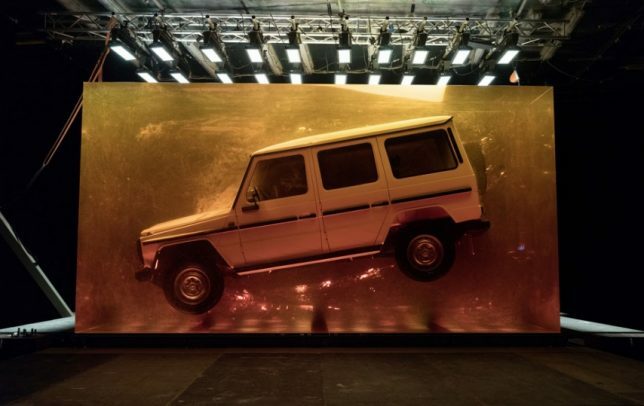 Millions of years from now, will aliens visiting an earth free of humans (or future humans, on the off chance we survive that long) find a puzzling ‘amber’ fossil of a 1979 Mercedes-Benz G-Wagen? Of all the cars that could have been chosen to preserve as a time capsule, most people probably wouldn’t have chosen this one, yet here we are. The automaker has commissioned an incredible sculptural exhibition for the North American International Auto Show in Detroit (NAIAS) made of 44.4 tons of synthetic resin. 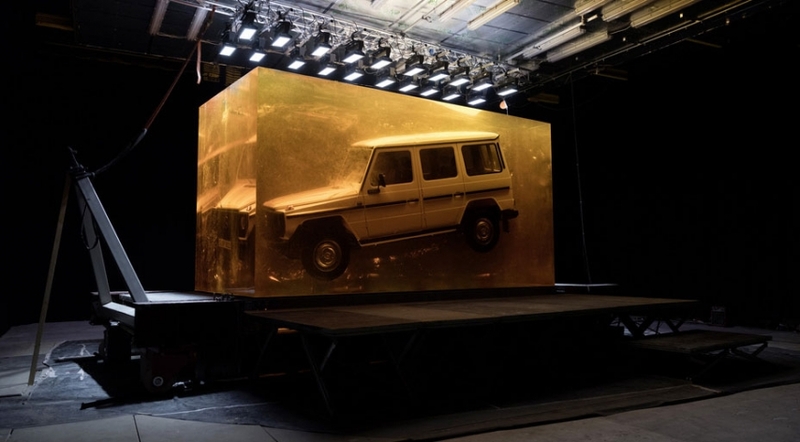 It may be a stunt to promote a product release, but it’s certainly a memorable one. 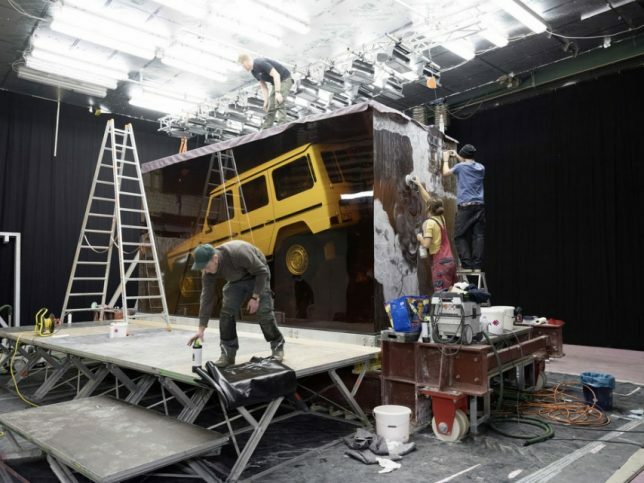 The resin block measures 18 feet long, 8.3 feet wide and over ten feet tall, and it took 90 days to create it layer by layer, with the block growing by about 1.1 inch in height every day.